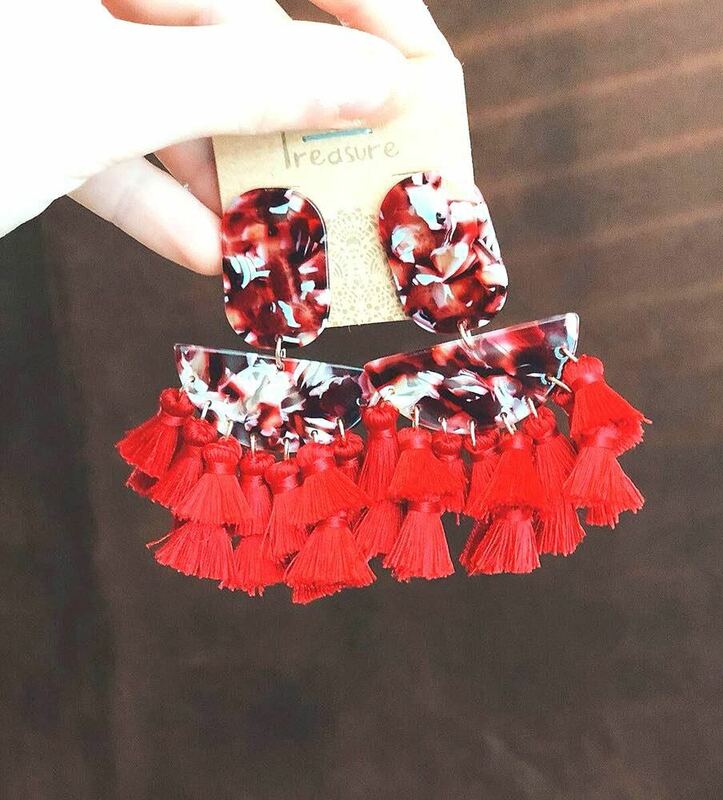 Brand new red acrylic and fringe earring!! Super light weight and super cute! !